Recently overhauled Px38-805, built by Chrzanow in 1938 (works number 727) – former Wrzesinska Kolej Powiatowa (Wrzesnia District Railway) No. 5 running on the Zninska Kolej Powiatowa (Znin District Railway) on 20 March, 2011. Photo ©Marek Ciesielski. I apologise for the long delay in posting. I’ve been travelling a long way, both in the metaphorical and physical sense. During my journeys I have met with a great deal of warmth and kindness from train crews. I have also faced passenger care at rock bottom at one of the UK’s ‘budget airline’ airports. After my travels I am even more convinced that though many members of staff may be willing, the ‘fragmented railway’ as created in Britain and Poland is unable to deliver a satisfactory passenger experience. More about my travels anon, but I must confess that with Poland’s main line railway system literally disintegrating I have decided that I will be spending more time in the future trying to help Poland’s railways secure a better deal from the government and less on Poland’s delightful preserved lines. 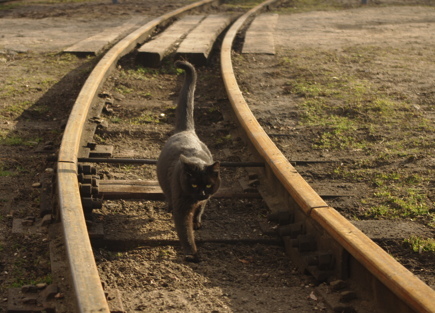 Meanwhile – as befits Easter – here is an optimistic piece of photo reporting by Marek Ciesielski about the rebirth of the Zninska Kolej Powiatowa (Znin District Railway) under the auspices of its new owners, the Magna Polonia investment fund. 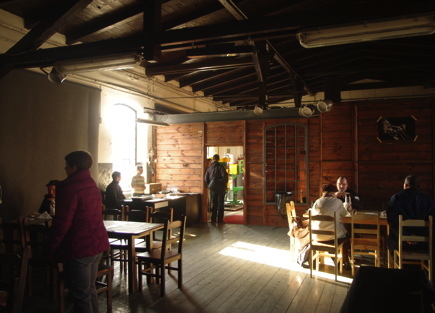 Klup Parowozownia, Poland’s first heritage railway run pub – a very welcome development. Photo ©Marek Ciesielski. Sunday 20th March saw the 2nd special train organised by the newly formed Stowarzyszenie Milosnikpw Kolei w Zninie (Znin Railway Society). The trains are believed to be the first photo charters for general Polish public organised on the Znin Railway in years. Klup Parowozownia, outside view. Photo ©Marek Ciesielski. 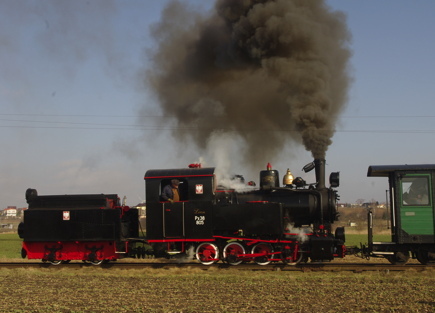 The 600mm Znin Railway is Poland’s first museum railway. 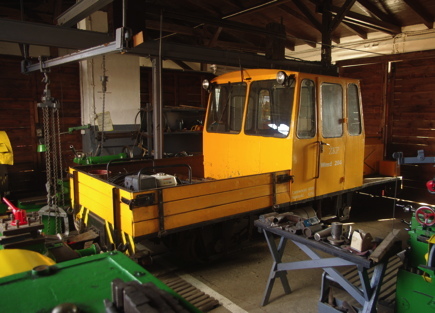 The narrow gauge railway museum in Wenecja opened in 1972, and after – abandoning regular passenger trains in 1962 – the railway reintroduced seasonal tourist trains in 1976. Unusually for a narrow gauge tourist line, the majority stake of the Żnin line has now been taken over by a private investment fund specialising in telecommunications. Behind a simple screen the rest of the building is still used as a railway shed. Photo ©Marek Ciesielski. Fears that this move would be the first step for closure did not materialise – under new management the railway booked a heavy general overhaul for one of its diesels (Lyd2-67) as well as to its sole operational steam locomotive, Px38-805. It is expected that the 0-8-0T will be used more frequently this season. Another encouraging development is the creation of a pub, Klub w Parowozowni, in a lightly used wagon works, at the same time respecting the fabric of the building and retaining some of the tooling and a permanent-way trolley inside. It seems an unparalleled development both in terms of other Polish narrow gauge lines and the town of Znin, which suffers from high unemployment and lack of investment. A portent of good times to come? Photo ©Marek Ciesielski.